Point Park dance majors at the Children's Hospital Anniversary Gala at the David L. Lawrence Convention Center. Six weeks into their first semester at Point Park, 60 freshman dance majors had the unique opportunity to perform at the Children's Hospital of Pittsburgh Foundation's 125th Anniversary Celebration Gala Oct. 2 at the David L. Lawrence Convention Center, located within walking distance to Point Park's Downtown Pittsburgh campus. "The 125th Anniversary Gala marked a tremendous milestone for Children's Hospital," said Kiesha Lalama, associate professor of dance, who choreographed the performance with assistant Jason McDole, assistant professor of dance. "To be invited to choreograph a thematic concept celebrating this milestone was an honor. This was a once-in-a-lifetime opportunity for everyone, myself included." Dance major Kiersten Gasemy credits Lalama and McDole for their guidance and support to prepare her for this opportunity. "Our professors' professionalism - along with their knowledge and insight into performance - is truly amazing," said Gasemy. "Having this experience as a first-year student was absolutely incredible." "We worked for weeks on this piece, correcting fine details and adjusting body placement," said Barrett. "When the lights hit me and the music came on, I began to dance, and I had a reassuring feeling that performing on stage was exactly what I wanted to do with my life." Student Taylor Ericksen valued the opportunity to make new friends with other first-year students. "Going through the rehearsal and performance process gave me the chance to bond with my classmates," said Ericksen. 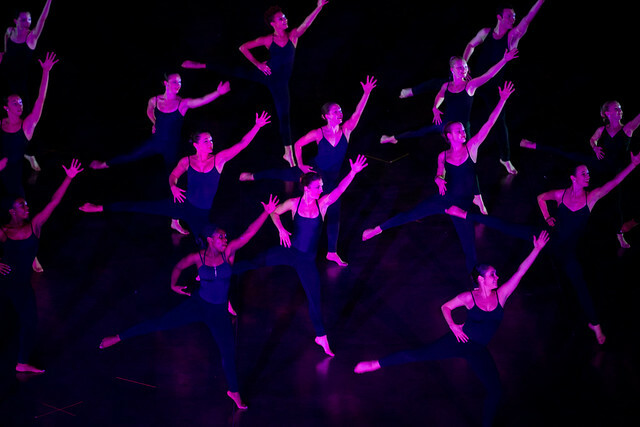 "There are so many connections that can be made at Point Park, whether with teachers, choreographers or my classmates. It feels wonderful knowing I got to be a part of something so great." Added Lalama, "This opportunity provided the students hands-on experience in several areas of dance that contribute to long-term successful careers. I am truly grateful for this entire experience and continue to be impressed by the plethora of talent in our dance program."